In today’s episode we talk about an area of Paris that has enormous significance in French history, yet only lives in our memory: La Bastille Saint Antoine. 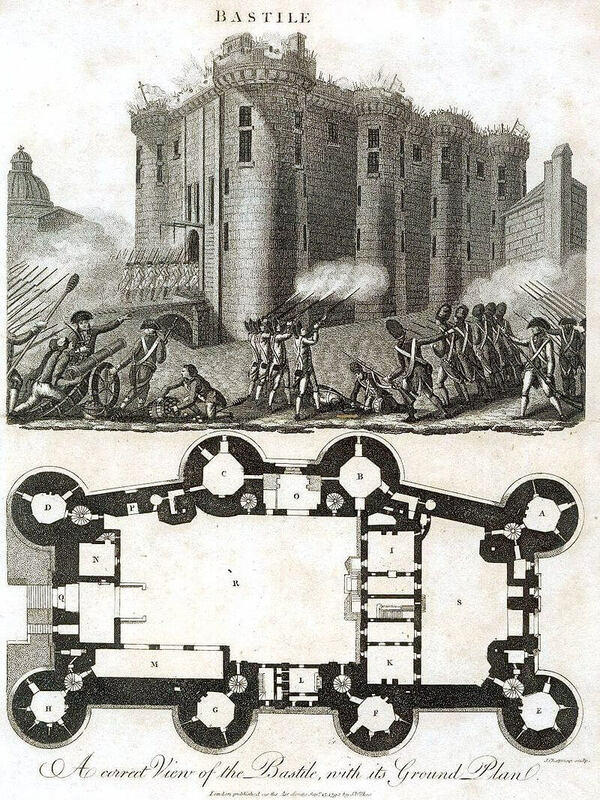 Elyse tells us who build La Bastille, what it was for, and how it became so important in French history. 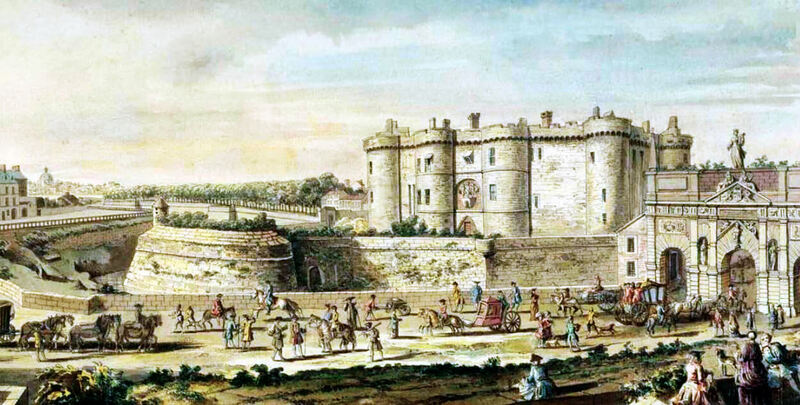 Voltaire was imprisoned in the Bastille, along with a lot of other famous and important people over the years. In this episode, we also talk about Bastille Day, a wonderful celebration all over France and how you can participate if you are in France at the right time. As you know, French people love a military parade and Bastille Day is a great excuse for a military parade. We got this from Napoleon who held military parades several times a year just to show off. Don't Go Looking for the OId Bastille, It's Gone! 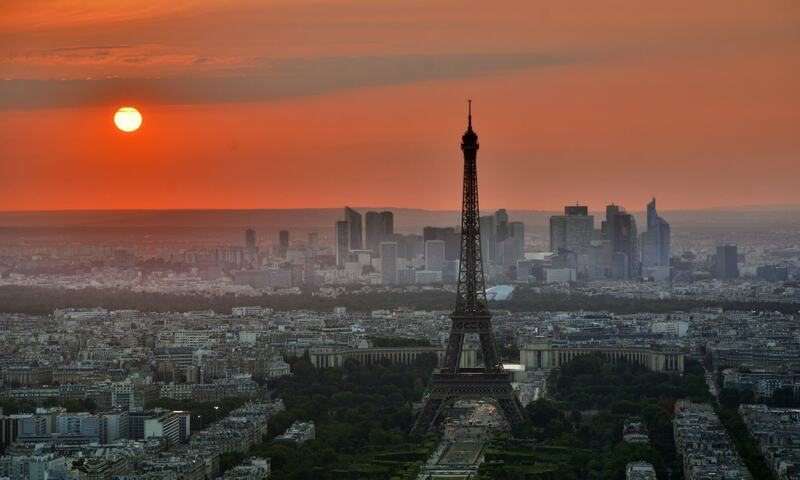 You'd be surprised how many visitors to Paris actually go to the Bastille to see what it looked like. Don't waste your time, it's not there any more! I understand why they make that mistake, lots of Paris monuments were destroyed and rebuilt. Not so for the Bastille! So what you have left there is minimal, the ghost of the Bastille drawn along the ground, a plaque here and there, but that's about it. You know how in America you'd with someone a "Happy 4th"? We don't do that in France. And, we don't call it Bastille Day at all. Rather we say "c'est le 14 juillet". So, thank you for wishing me a "Happy Bastille Day" every year, but it wouldn't mean anything to most French people who don't hang out with Americans all the time. Is there a French version of these “episodes”? We lived for seven months on Blvd Richard Lenoir, three “blocks” from the Place and never knew about the blocks outlining the Bastille. We will go back. Your podcasts are great! Found you through the interview you did with Amatuer Traveller. Been devouring them one by one in prep for my first trip to France. Just a quick correction. Although the Jacobins most probably wanted his head, Laffayette managed to escape and had a long and interesting career post revolution and even post Napolean. He died of pneumonia and old age in the 1830 when The Terror was long over.